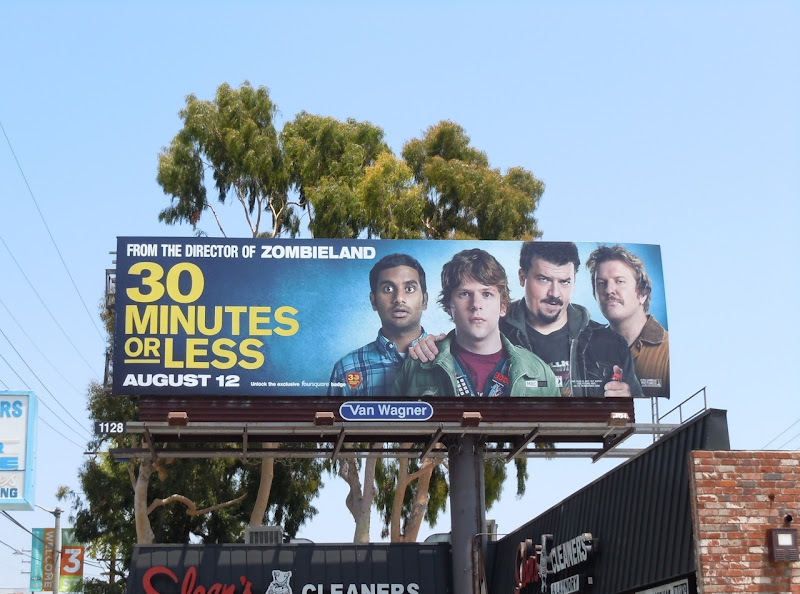 After coming over all serious in The Social Network, Jesse Eisenberg gets to be a little less earnest in the new action comedy, 30 Minutes or Less. 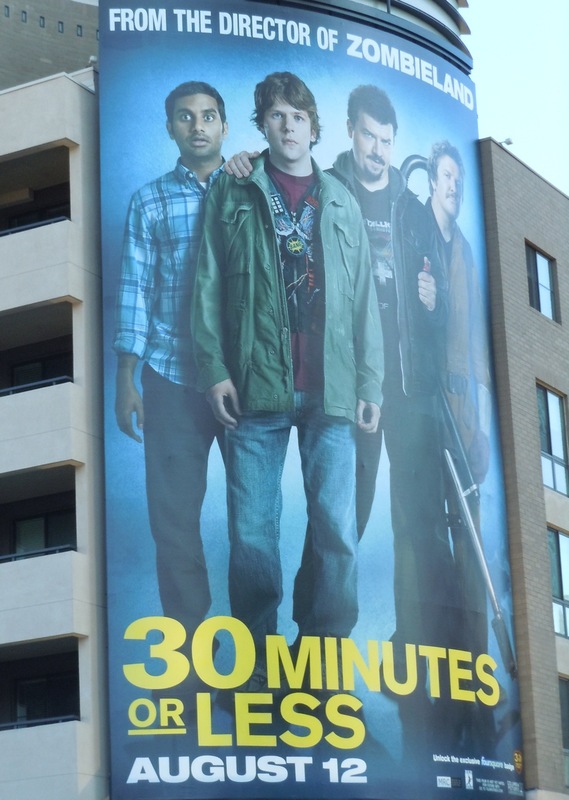 For a change of pace his pizza delivery character gets kidnapped, has a bomb strapped to him and informed he has mere hours to rob a bank or else. 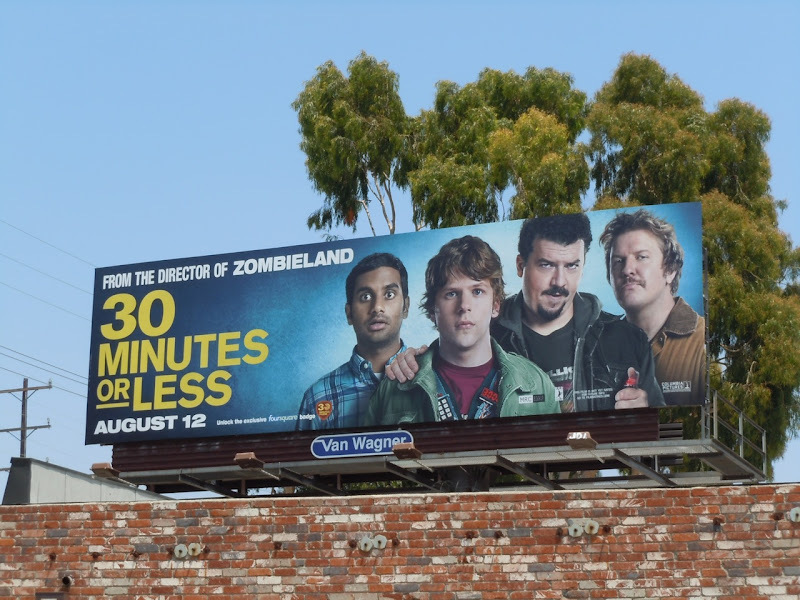 This movie billboard was snapped along L.A.'s 3rd Street at La Jolla Avenue on July 21, 2011. 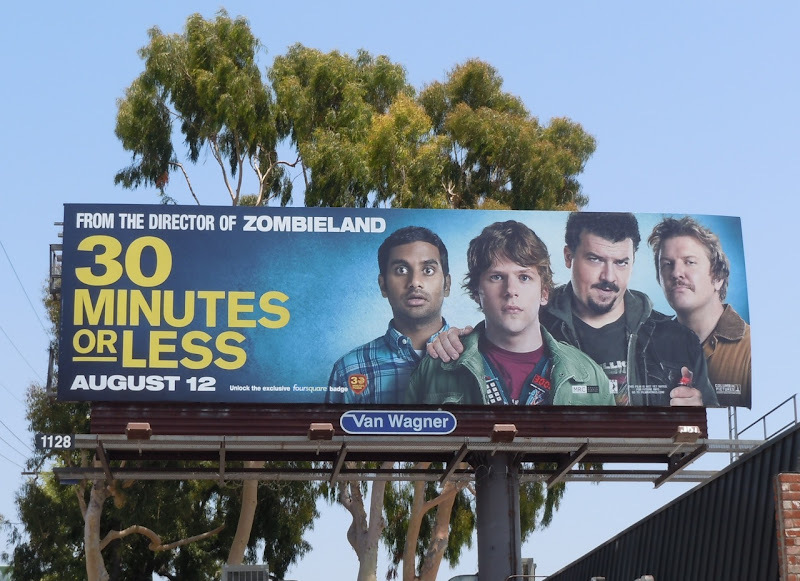 UPDATED: Here's a slightly larger version of the film billboard, showing more of the bomb vest, photographed along Highland Avenue in Hollywood on August 3, 2011.